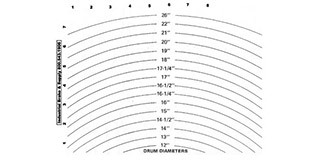 Match the lined shoe with the corresponding arc for drum diameter. 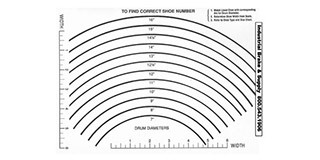 Determine the shoe width from the scale(s). Refer to the shoe type(s) and size chart(s) below. Please contact IBS for assistance.